The Accu-Grind design engineering team will show how you can make more parts in less time, thus, increasing your profits... and decreasing your time to market. 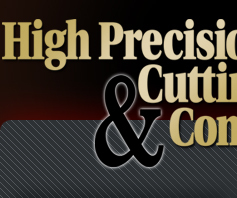 Accu-Grind Cutter Service, Inc. (AGCS) of Connecticut designs and builds multifunctional tooling that delivers faster cycle times at lower cost per piece. Accu-Grind's design ingenuity, versatility and manufacturing expertise will prove how we routinely produce mission-critical and efficient cutting tools such as turbine blade root form cutters. Accu-Grind provides custom tools such as end mills, form mills, thread mills, ball mills, & reamers—all the important solutions necessary to meeting or exceeding your multi-operation machining needs. With nearly four decades of expertise in the cutting tool industry, AGCS has won accolades for producing extremely complex helical form cutters. Accu-Grind is particularly adept at developing tools that possess the ability to cut multiple features in one operation ... Yes!, you can make more parts in less time, thus, increasing your profits and decreasing your time to market. by as much as 500%? The tool we were using took us 25 minutes to cut our part. produce five parts in the same time it took for us to make one. It looks like Accu-Grind has created the right solution for you. And we'll come in ... at ... or just under budget.